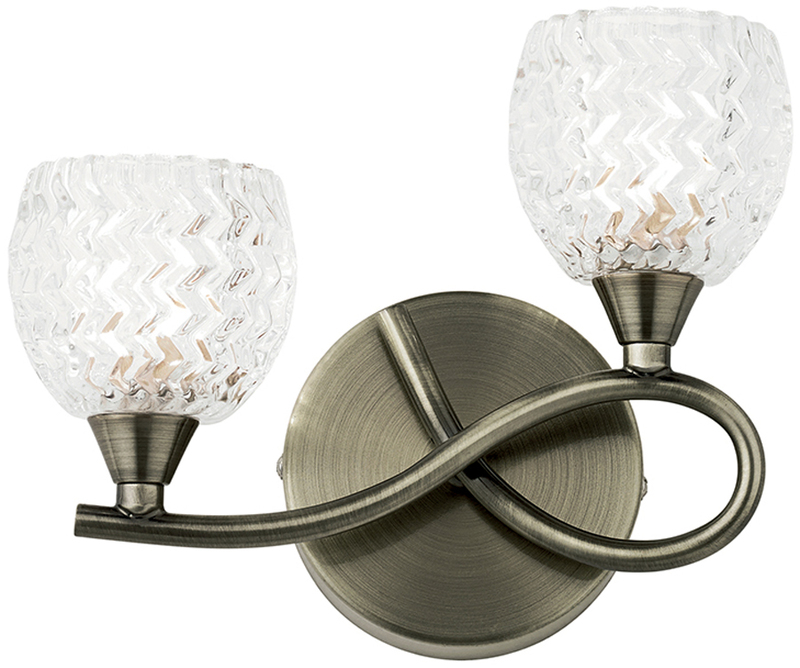 This Boyer antique brass finish right hand 2 lamp wall light is traditional and features cut glass shades and classic style. A lovely design, with circular wall mount and curved cross over arm holding two upward facing chunky rippled cut glass shades. Suitable for use with LED lamps, dimmable and also available in a left handed version with the loop to the left to match symmetrically.